Trounce Alley Quartet is here! We hope you enjoy seeing and hearing what we do best – sing. 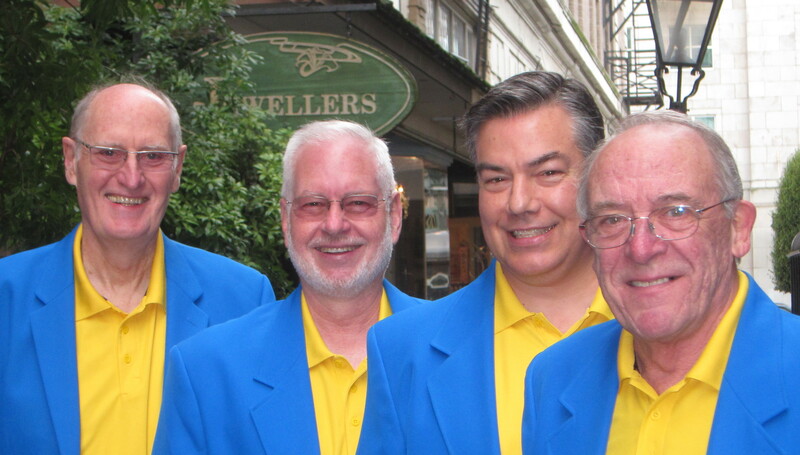 We have had a great time over the holidays, singing in different venues and entertaining people around Victoria. There are so many great songs for us to learn and sing that we will be busy for a long time learning and polishing our material. There are already dates booked on our calendar from now through to the summer and we are looking forward to another great year of entertaining folks with what we do best. Please have a look around this site to learn more about us. If you would like to have Trounce Alley sing for you, please contact Bob Doak from here, or head over to our website and look at the “Book our quartet” page. Just follow the link. Thank you. Killer Wails - Vocal ORCAstration! 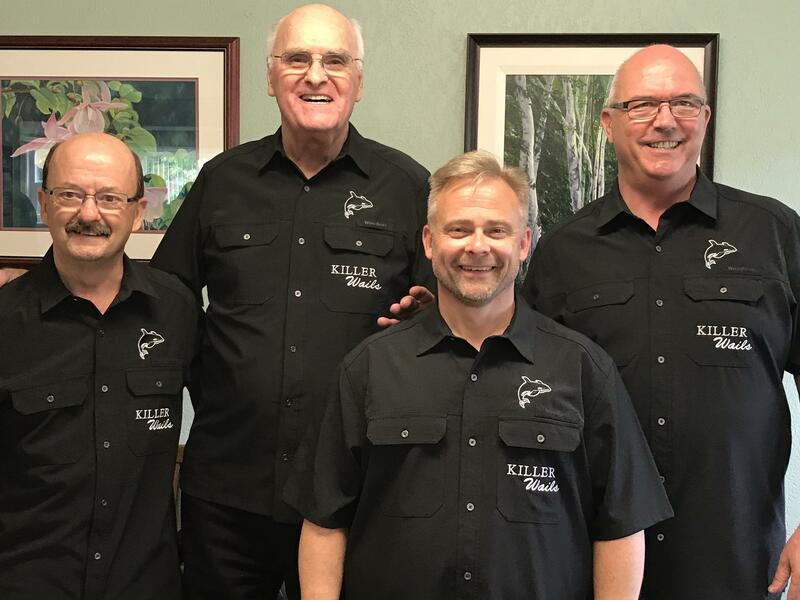 Killer Wails is a Barbershop Quartet with a particular fondness for fun. Our performances are lively, sometimes even playful. Our repertoire spans genres and generations. You are certain to enjoy yourself - we always do!